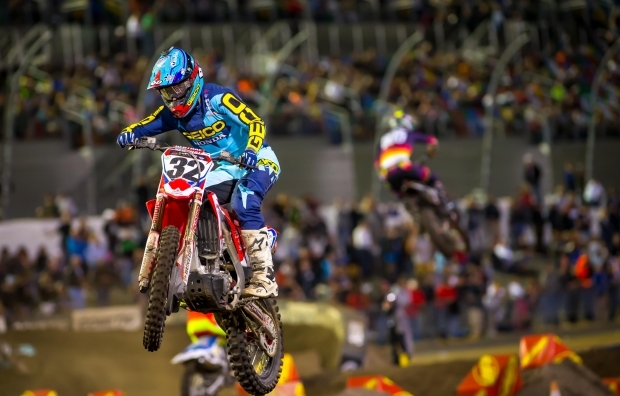 The 2018 AMA Supercross series came to an exciting close for Team Honda HRC at Las Vegas’s Sam Boyd Stadium, as replacement rider Christian Craig rode to another strong fourth-place finish. In the final main event of the year, Craig launched his CRF450R down the start straight from the far… read more. 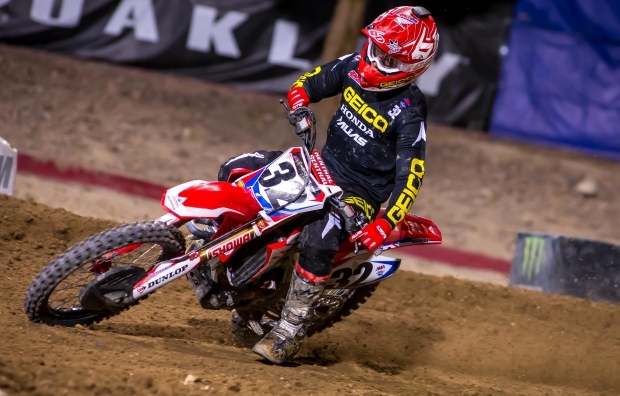 Team Honda HRC rider Christian Craig put in a solid performance at the penultimate round of the AMA Supercross series in Salt Lake City, Utah, riding smoothly and consistently to a fourth-place finish. The Californian completed lap one of 26 in third place and stayed there until slipping a position… read more. 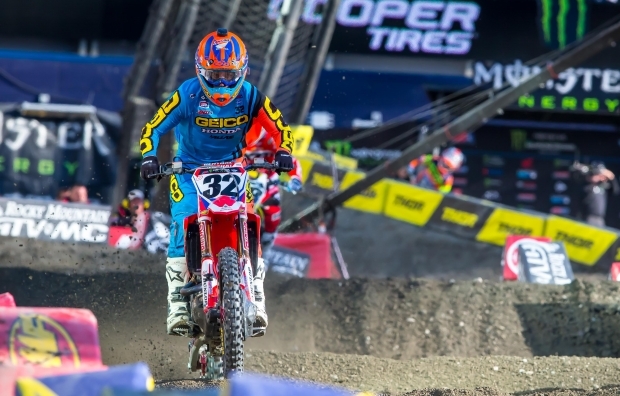 Foxborough, Massachusetts, played host to round 15 of the AMA Supercross series, where Team Honda HRC’s Christian Craig overcame a crash on the opening lap of the main event to turn in an 11th place finish. Craig launched his CRF450R out of the starting gate with the holeshot and early… read more. Round 14 of the AMA Supercross series at U.S. Bank Stadium in Minneapolis played host to the season’s third and final Triple Crown event, where Team Honda HRC’s Christian Craig overcame falls in the first two races to secure ninth overall with 14-10-7 results. 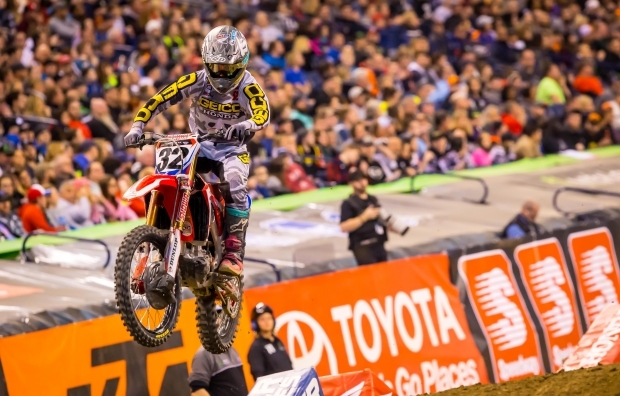 Smartop/Bullfrog Spas/MotoConcepts Honda’s Justin Brayton was… read more. TORRANCE, Calif. (April 12, 2018)– Team Honda HRC is happy to announce that GEICO Honda’s Christian Craig will continue to fill in aboard a factory CRF450R during the AMA Pro Motocross series. With team riders Cole Seely and Ken Roczen both injured, Craig has been riding for the squad since… read more. Following a weekend off, the AMA Supercross series returned to action with round 13 in Seattle, where rain throughout the day and evening created extremely difficult conditions, making for a challenging event for Team Honda HRC. After making several mistakes in the beginning of the shortened 12-minute-plus-one-lap main event, Christian… read more. It was a challenging evening for Team Honda HRC’s Christian Craig, as crashes during the 27-lap main event left him in 16th by the checkered flag. Craig got a decent jump out of the gate but was delayed in turn one when other riders went down. The Californian worked… read more. Although Team Honda HRC fill-in rider Christian Craig was disappointed to finish in ninth place in St. Louis after struggling to find his rhythm on the track, he stayed safe and is determined to return to the pace he has shown in recent weeks. When the gate dropped for the… read more. 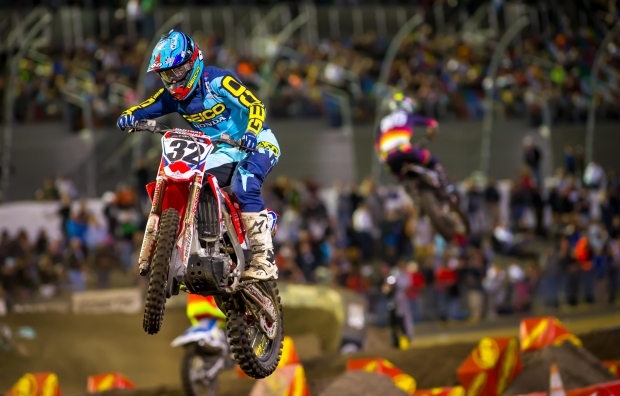 Honda enjoyed a dream night at the prestigious Daytona Supercross, where Smartop/Bullfrog Spa MotoConcepts rider Justin Brayton scored the dramatic victory, while Team Honda HRC fill-in rider Christian Craig notched a career-best 450SX result of fourth. The two CRF450R racers also each won a heat race. Craig and Brayton started… read more. 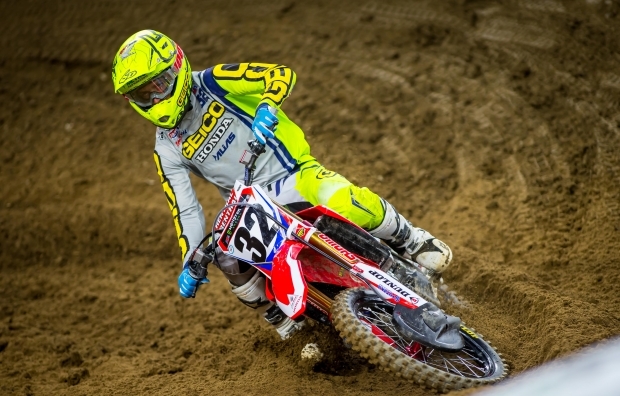 With injuries having put Team Honda HRC riders Cole Seely and Ken Roczen out for the remainder of the AMA Supercross series, GEICO Honda racer Christian Craig filled in aboard a factory CRF450R as the squad’s sole rider for round nine in Atlanta. It was an outstanding night for Craig,… read more.